Chevron down Why should I book my whale watching cruise with Fantasea? The Fantasea Whale Watching cruises offer a once-in-a-lifetime experience. Our 2.5 – 3 hour cruise includes sightseeing within Sydney Harbour as we make our way to the ocean entrance. We pass some of Australia’s most famous (and photogenic) sites including the Sydney Opera House and the Sydney Harbour Bridge. Enjoy a complimentary hot beverage and take in the scenery as we travel to the Heads. After a brief safety demonstration, we leave the harbour and travel offshore to find the famous humpback whales. Guests are instructed on how to search for whales from the surface. Professional marine biologists provide educational commentary throughout the trip, informing passengers of whale behaviour, biology, population, migration, feeding, breeding, calves, conservation, and much more. Conditions permitting, a hydrophone (underwater microphone) will be used to listen in on “whale conversations” and allow guests to experience whale song firsthand. The friendly crew are happy to answer any questions you have about these wonderful animals. Fantasea strives to offer a sustainable and conscious whale watching experience. Catalina follows NSW Conservation Regulations, including approach distances and speed limits, to ensure the whales’ comfort and safety. Our goal is to develop guests’ appreciation for natural whale behaviour in their natural environment. Upon returning to the harbour, we provide guests opportunities to further their impact on whale conservation. We encourage passengers to ask questions and learn how to make a difference in the world of whales. Chevron down What is included in my cruise ticket? The Fantasea Premium Whale Watching Experience includes complementary tea, coffee and hot chocolate while traveling through Sydney Harbour. Opportunities to purchase additional snacks and beverages are available at our fully licensed bar, including wine, beer, sodas, juices, chips, and cookies. Fun souvenirs are also available at the on board kiosk to remember your premium whale watching experience. Chevron down How long is my cruise? Chevron down What will I see? As we at the mercy of wild animals in their natural habitat, it is impossible to predict what we will see on any given day. The most common whale sightings is the humpback whale. In addition to this we may see southern right or minke whales, common and/or bottlenose dolphins, penguins, fur seals and sea birds a plenty. We’ve always got a keen eye out for Migaloo too! Chevron down Which cruise offers the best whale watching, morning or afternoon? The whales don’t seem to have a preference for the morning or afternoon, therefore you are just as likely to see whales and more on either trip. Chevron down What if we don’t see any whales? Whales are wild animals and can be unpredictable. Your captain and crew will do their best to find you an exciting whale experience. However, sometimes the whales have other plans. Although we cannot guarantee the presence of whales on every whale watch, we can offer the next best thing – the Whale Guarantee. In the unlikely event that whales aren’t sighted during your whale watch, Fantasea Cruising will offer you the opportunity to return during whale season … for free! If a whale watch guarantee is given for a trip, Fantasea Cruising will reschedule your trip at a time that suits you, booked directly through our office. Chevron down Will my whale watching cruise still run if it’s raining? The Fantasea whale watching experience’s operates rain or shine! We recognize that many passengers are visiting Sydney for a brief time and rebooking to accommodate sunny weather may not always be an option. We recommend checking the weather forecast in the days prior to your reservation to ensure weather-appropriate attire. Additionally, the vessel is designed to accommodate all weather. We have indoor and outdoor decks for passenger convenience and comfort. Chevron down What are the offshore conditions like? Offshore conditions can vary from glassy flat to a couple meters high. We have the largest whale-watching vessel in Sydney Harbour, which offers a stable and comfortable ride. However, even we can feel the bumpy seas sometimes. Chevron down What happens if my whale watching cruise is cancelled due to sea conditions? In the unlikely event that sea conditions are deemed too rough for a whale watching adventure, the whale-watching trip may be cancelled. For the comfort and safety of our passengers, Fantasea Cruising will re-book your whale watching cruise to a different day. Chevron down What about sea sickness? Take medication if susceptible to motion sickness – these can be purchased at any pharmacy. Enjoy a light meal prior to the trip or wait to eat until afterwards – heavy foods can be uncomfortable on the high seas. 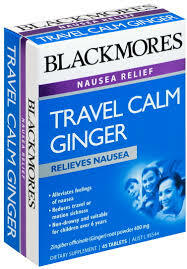 We also offer ginger tablets onboard, which act as a natural stomach settler if nausea occurs. However, onboard tablets should not be solely considered for seasickness prevention, as they do not prevent or treat seasickness. Chevron down What should I know about the boat? The Fantasea Cruising premium whale watching experience takes place on our flagship vessel – Fantasea Catalina. Catalina is a 32-meter high, triple-deck luxury catamaran. The vessel comes equipped with a full bar, 6 restrooms, several TV displays, indoor and outdoor seating, and a full PA system for music, commentary, and whale song. Catalina boasts 4 outdoor viewing decks, including a 360° open viewing platform above the second deck. There are 2 temperature-controlled interior cabins on the first and second level, with plenty of indoor seating. Each platform provides amazing views of the local wildlife. Although passenger capacity on Catalina is 399, we cap our numbers to ensure everyone onboard has a “front row seat” to the whale action. Chevron down Can I smoke on board? For the safety of the vessel and its passengers, there is no smoking permitted on any of the Fantasea Cruising vessels. This includes the use of e-cigarettes and other lit tobacco products. We thank you for your understanding and cooperation. Chevron down Are there toilets on board? The vessel has 6 restrooms onboard for passenger convenience, including an accessible restroom for passengers requiring a little more space. All toilets are equipped with electric hand dryers and have a water-conservation flush feature, allowing passengers to help us conserve water and waste when possible. (Note: If feeling nauseous, DO NOT go to the restrooms. The marine plumbing is not equipped to handle this. Additionally, these rooms are small and enclosed, which can intensify the feeling of seasickness. It is best to remain outside near a boat railing). Chevron down I’m in a wheelchair, is your vessel accessible? The first level of the vessel is wheelchair accessible. Our boarding ramp and doorways permit the width of a traditional wheelchair/scooter. The crew will work with passengers to determine the best boarding method and viewing location for the whale watch. The crew’s primary priorities are passenger safety and comfort. We recommend passengers with limited mobility remain on the first level where the vessel is most stable. The upper floors of the vessel feel “the motion of the ocean” more than the first level. There are two main ways to make a booking. Would you like to leave from Darling Harbour or Circular Quay? Chevron down Where do I board my Fantasea Whale watching cruise? The Fantasea Whale Watching vessel will meet you at either King Street Wharf (Darling Harbour) or the Eastern Pontoon (Circular Quay) to begin your adventure. Alight at Wynyard Station. From within the CBD you can get to Wynyard on the City Circle Line. From Wynyard you can walk down Erskine Street towards Darling Harbour, or follow the Wynyard Walk from Clarence Street. Take the footbridge at the harbour-end of King Street (on the corner of Sussex Street) to arrive at Lime Street. If travelling from Wynyard, you can traipse from Clarence Street along the Wynyard Walk, a new state-of-the-art, fully accessible underground pedestrian link through the city. Emerge at Barangaroo and enjoy a walk along the water to King Street Wharf. Sun Parking is located at 261-293 Kent St in the basement levels of Westpac Tower, and is only a two-minute walk along Erskine Street from King Street Wharf. There are entrances on Sussex Street and Kent Street. Alight at Circular Quay Station. From within the CBD you can get to Circular Quay on the City Circle Line. From Circular Quay Station walk east, towards the Opera House, you will find the wharf on the left hand side, in front of the toaster buildings. Wilson Parking owns and operates the Sydney Opera House Car Park, which is a public car park serving Sydney Opera House visitors and ticket buyers, as well as visitors to Circular Quay. The car park is located at 2 Macquarie Street (Northern end), with vehicular access adjacent to the Sydney Opera House Forecourt. Chevron down What if I am running late? We ask that all passengers arrive 10-15 minutes prior to the listed departure time specified on your ticket. We recommend allowing extra time to account for unexpected traffic or public transportation delays. Unfortunately, we cannot wait for late passengers due to wharf reservation restrictions. Guests on our 21 September 2017 we’re amazed and delighted have a unique opportunity to witness Australia’s most recognised humpback whale Migaloo! Up until 2011 Migaloo was the only known all white Humpback Whale in the world, since then incredible images have arisen of a 100% all white baby humpback calf who has been unofficially named MJ (Migaloo Junior). Migaloo is protected under Australian law and is part of the Australian East Coast humpback whale population. With this Vivid and Whale Watching Sydney Package Tour you are set to have an unforgettable experience in Sydney with spectacular photos to prove it. Enjoy a pleasant cruise back to Darling Harbour, then you can sit back and relax at one of our preferred waterfront restaurants and enjoy a two-course lunch with a drink included.